Active Play, Jog's Blog balance, ball, ball games, ball skills, balloons, body awareness, foot-eye co-ordination, hand eye co-ordination, language development, roll, spatial awareness, throw Comments Off on Having a ball! A ball is one of the best and most indispensable of toys! 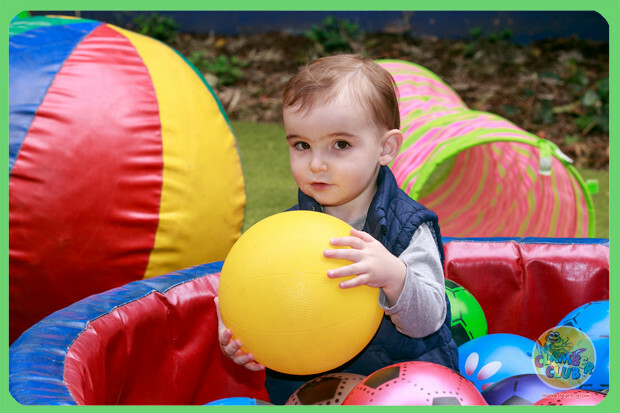 Ball games can develop many different skills, and are a never ending source of fun for almost any baby, toddler or pre- schooler. Some balls work better than others for certain types of play. Collect a variety if you can, for a variety of games. Heavy, light, big, small, textured, fabric, ping pong balls, tennis balls, a rugby shaped ball, beach balls, plastic soccer balls and home made balls! 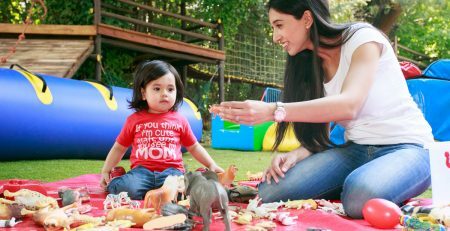 • Roll it and encourage your baby to crawl/ toddle after it. • Sit your baby on the ball and bounce on it. 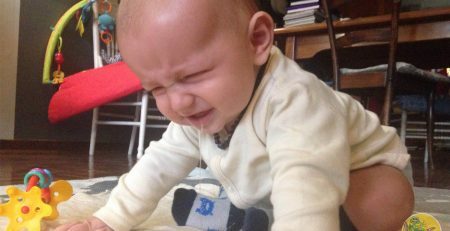 • Lie baby on the ball, on his tummy and roll him backwards and forwards over it . 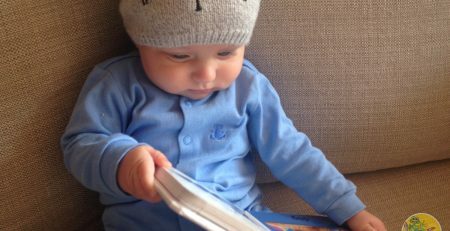 • Throw it up for your baby to watch, and encourage him to throw it, or simply let it go. • Place a small blanket on the floor. Put the ball on top of the blanket. Hold two corners of the blanket while your toddler holds the other two. Show him how to shake the blanket. When the ball drops, let him chase it and put it back into the blanket. Hide it under the blanket and see if he can find it. 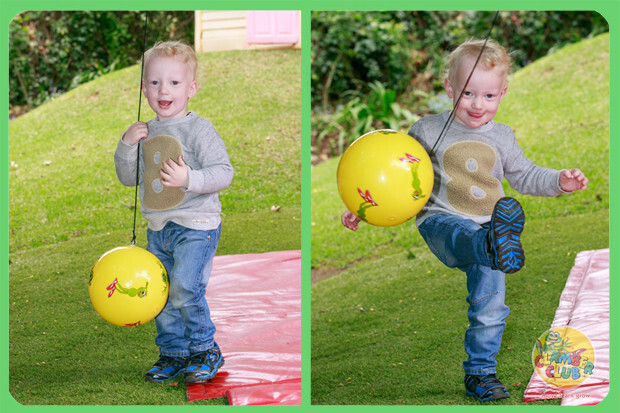 • Kicking is great fun for a toddler, or even just walking with the ball in font of his feet in a type of `dribble’ is a challenge. • Hold the ball gently in front of your baby and show him how to bat it out of your hands. • Sit your baby on the ball. Hold his feet firmly and rock him forwards, backwards and side to side. Encourage him to balance on it while you move him. • Push the ball against each other, as hard as you can. He may not understand the concept of push, so you may have to help him a bit! • Lie on the floor and roll the ball over his body. Encourage him to do the same to you! • Pat the ball, softly and then loud. • Lift your baby up, and swing his legs to kick the ball with his feet. • Give your toddler a washing basket or cardboard box, and some balls to drop into and dump out of again. Use tennis balls, ping pong balls, balls made from crumpled paper, socks tied into a tight ball or even bean bags. • Place a large cardboard box on it’s side, open at either end. 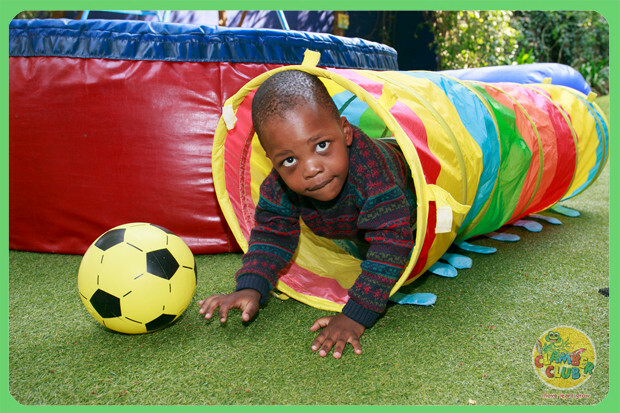 Show your toddler how to roll the balls through the `tunnel’. Chairs and tables also work as great tunnels, especially if covered with a cloth. • Lie your large cardboard box on the floor. Cut out arches along the side. Show your toddler how to roll the balls through the arches. • Collect your formula tins, and decorate or paint them. • Place one tin on top of another, and encourage your toddler to knock them down by throwing or rolling the ball at them. 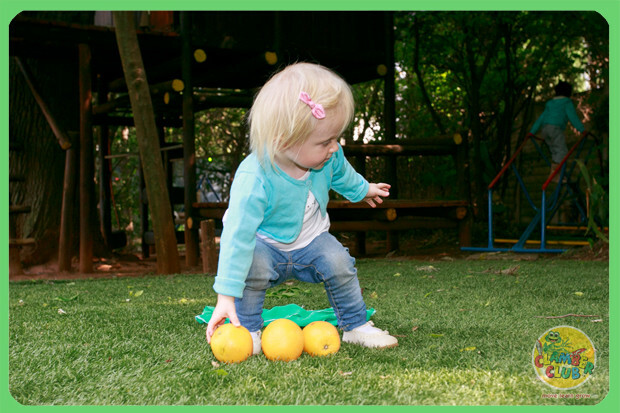 • Show your toddler how to balance balls on top of tins with open lids. Balloons are magical floating balls. They’re large but light, and they move in unpredictable ways. 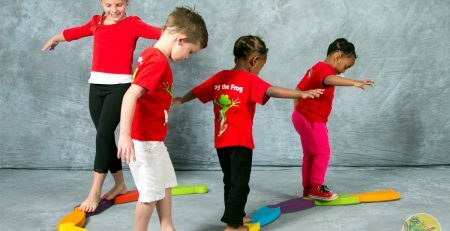 They are easy targets for visual tracking skills as they move slowly and it’s easier for your child to follow their movement. 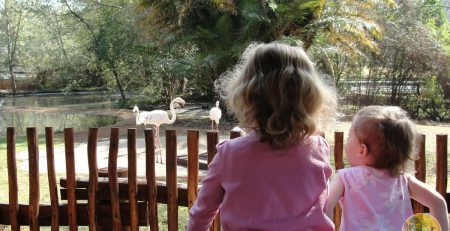 • Bat a balloon back and forth between you and your toddler. • Show him how you can keep a balloon up in the air by hitting it up, and help him to do so too! • A balloon is easy to catch or kick as it moves slowly, so give him lots of practice. NB! Never leave your child on his own with a balloon. If it pops, he could choke on it. • Sponge or rubber balls can strengthen little fingers if you squeeze them. • Put a ball in an onion bag or a stocking. Hang it from a tree. Let your toddler, tap, hit, box, kick or punch it. • Hang balls of different sizes and weights from a tree. 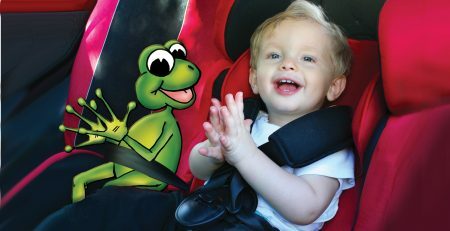 Encourage your toddler to hit them and feel the difference between heavy and light. 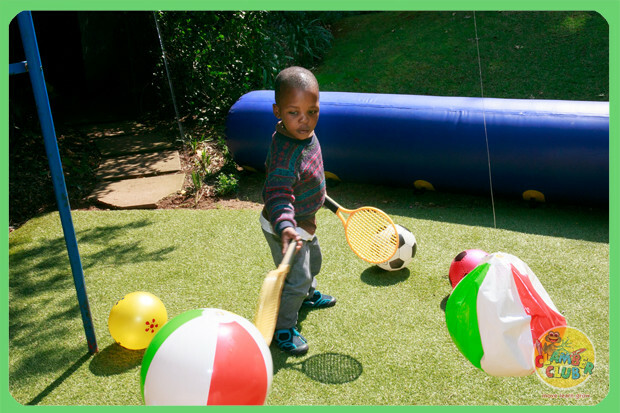 • Ball games can develop body awareness, spatial awareness, balance, the coordination of body sides, eye foot and eye hand coordination. • If you throw a ball up, it will come down. • Because a ball is round, it can roll. Wheels go round, squares can’t. There are many objects that are round. The sun, coins, hoops. • You can make your body round and roll like a log or a ball. 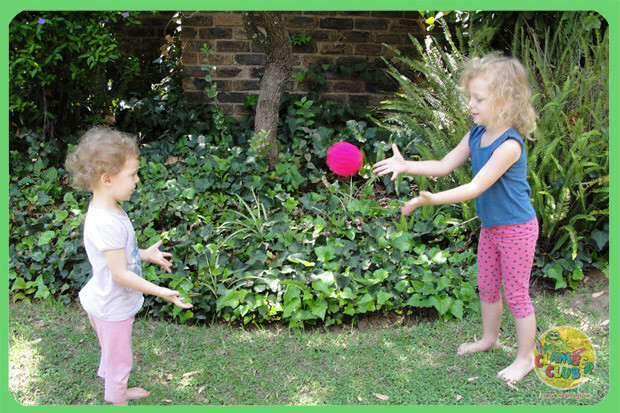 Balls games can promote your toddler’s language skills and understanding of concepts. 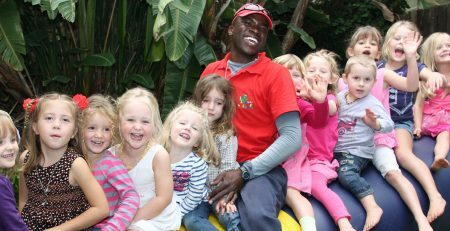 Use words to describe the fun you are having: roll, round, bounce, slowly, fast, heavy, big, small, light, lots of balls, few balls, different colour balls. If you don’t happen to have a ball handy, try this body ball poem together, author unknown!